Himmerland Fiskepark is located in scenic surroundings. The site also offers a campground with handicapped-accessible cabins and space for tents and caravans. Lakes can be rented for events. Himmerlands Fiskepark has four put and take lakes. 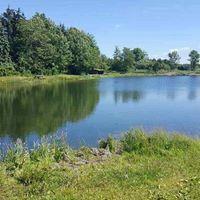 The two smallest lakes can be rented for events.